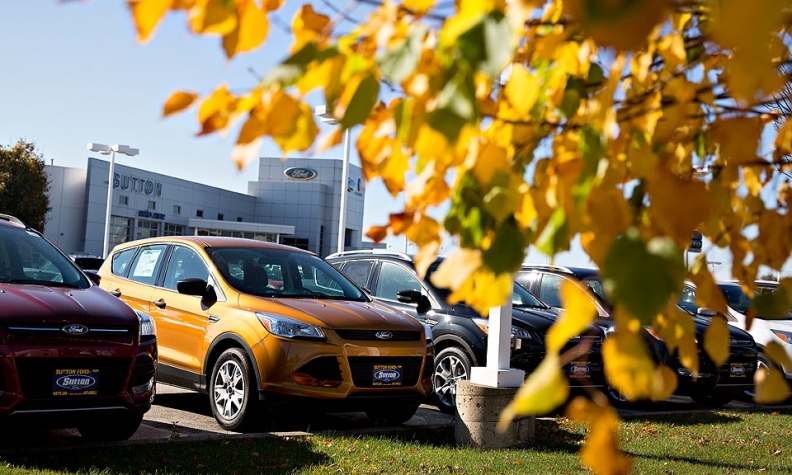 The lackluster consumer reaction to “Friends & Neighbors” showed in Ford's November results. Ford Motor Co. learned the hard way last month that car shoppers get more excited about no-interest financing than no-haggle pricing, especially during the annual holiday bargain-hunting frenzy. Dealers and analysts say the “Friends & Neighbors” sale on Ford brand vehicles was a victim of bad timing and flawed execution. The automaker pulled the plug on it five weeks early, switching to holiday-themed offers of 0 percent loans and $1,000 cash back on some vehicles. The brand is now giving buyers of some 2015 models interest-free loans of up to six years, similar to a promotion that generated big numbers over the summer. Customers understand and like that approach much better than the nebulous “insider deal” Ford was dangling in November, said O.C. Welch, owner of O.C. Welch Ford-Lincoln in Hardeeville, S.C.
An 18 percent increase in sales of Ford’s pickups and vans just barely overcame declines of 13 percent for cars and 9.7 percent for SUVs and crossovers. A 25 percent plunge for the Focus wasn’t surprising given low gasoline prices, but a 19 percent stumble for Ford’s top-selling crossover, the Escape, was notable, though Ford said a big cut in Escape fleet sales was mostly to blame. Dealers told Ford that shoppers considering the Escape and several car nameplates were deterred by the lack of no-interest loans last month. They saw the discounted pricing as less appealing than free financing, even though the automaker was spending about the same overall amount on incentives as in previous months, LaNeve said. The Ford brand posted its lowest market share since August 2014 last month, when no-haggle pricing was offered in place of no-interest financing. 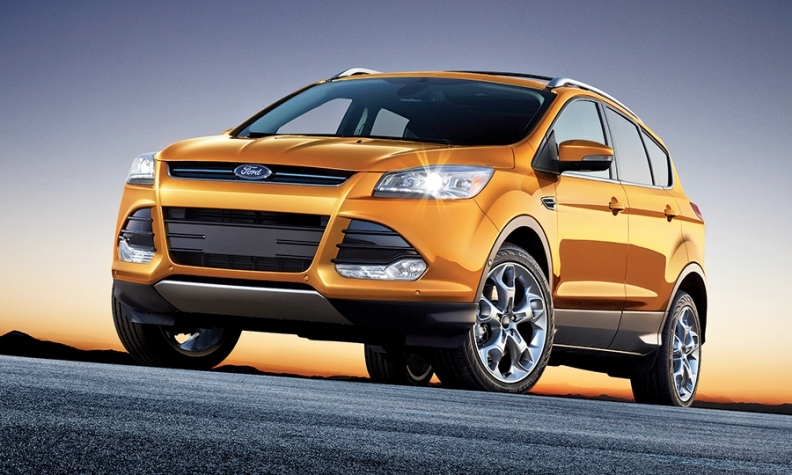 U.S. sales of the Ford Escape, the brand's top-selling crossover, slid 19 percent last month. Dealers told Ford that shoppers were deterred by the lack of no-interest loans. Ford’s December offers are still less generous than the “Free Ride” sale the brand ran around Labor Day, which Welch called one of the most successful promotions in the past decade. That deal included interest-free, 72-month loans on all vehicles, including the redesigned F-150, plus $1,000 “bonus cash” on all cars, SUVs and crossovers. For December, bonus cash comes only with 60-month loans, and 0 percent is unavailable on the 2016 F-150, Explorer, Edge and Mustang. About 45 percent of sales by the Ford brand in August and September involved interest-free loans, compared with an industry average of roughly 15 percent in those months, according to Edmunds.com. And Ford outsold Chevrolet in those two months by about double the margin it did in October, when only 14 percent of Ford buyers got 0 percent financing. A straightforward, interest-free offer around the holidays is a better strategy for Ford, said Jessica Caldwell, a senior analyst with Edmunds. In contrast, “Friends & Neighbors” set vehicle prices at within about $200 of dealer invoice, which is about the same that many Ford vehicles already were selling for in prior months, and dealers were allowed to undercut the no-haggle price in pursuit of Ford’s stair-step targets, which meant pricing still wasn’t uniform. Ford officials said the program produced some benefits, noting that the company’s average transaction price rose about $3,800 from a year ago in November, with gains across most of the lineup as buyers chose more options and higher trim levels. But the magnitude of that increase was skewed by lower sales of the Focus, Escape and other nameplates that sell for less than $30,000, while sales of the more expensive F series rose 10 percent. Welch, the South Carolina dealer, said Ford’s initial decision to run “Friends & Neighbors” for two months hurt by creating a lack of urgency among shoppers. But he and other dealers applauded Ford for ending the sale early based on dealer feedback and sales results, before the critical month of December.